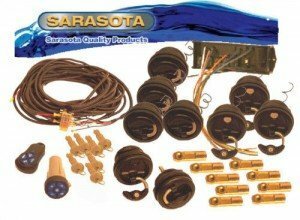 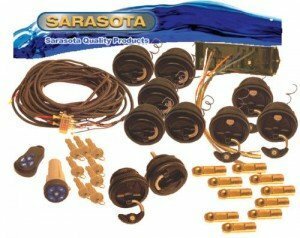 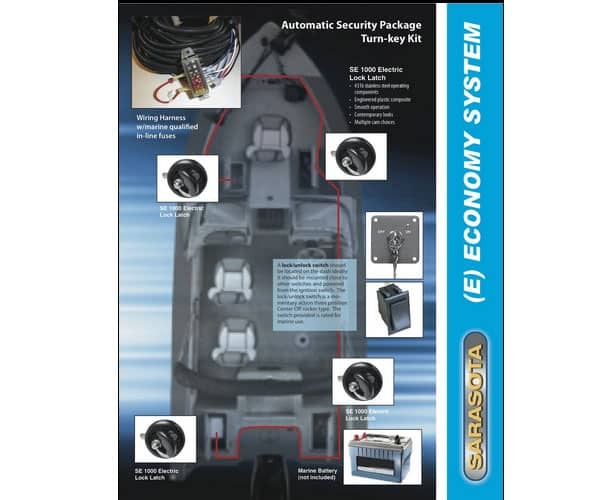 The Economy Boat Locking System comes with 1 Switch, 2 Lock Latches, and 1 Wiring Harness. 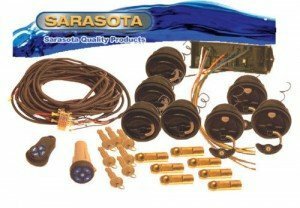 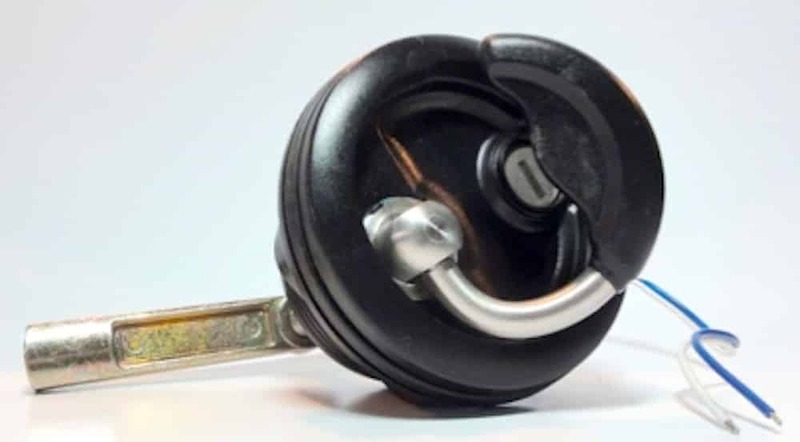 The Key Captain Economy Boat Locking System is electrically operated from a dash mounted switch to provide time saving locking and unlocking functions for most boats. 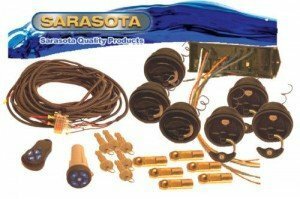 Designed for easy installation,waterproof, corrosion materials throughout, FCC Compliant.